Engineering & Inspections has added a state of the art unit for hardness testing to our inventory. The Proceq Equotip 3 is a rugged, durable, metal hardness testing machine which is suitable for most metallic work surfaces. 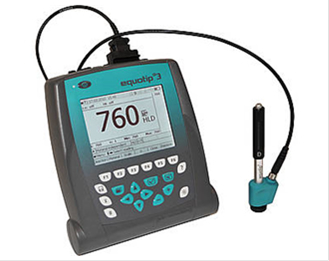 For a wide range of applications, the Equotip 3 metal hardness tester permits user-friendly testing at highest speed, giving the results in all common hardness scales. Typical test pieces range from massive steel rolls, heavy forgings and castings over to tubes and suitable cylinders and pipes. Reliable measurements on almost all part geometries.